This post is the second of a short series on writing, publishing and promoting an eBook in a marketplace dominated by free content. If you are interested in receiving a free eBook of the series upon its completion, subscribe here. More eBooks sell on Amazon than paperback and hardcover books combined. Taking advantage of this Brave Nook World by writing your own eBook instantly makes you internationally scalable and exposes you to new audiences. How do you actually write an eBook? How can you as a person with an idea create a legacy as a published author of an electronic book? I recently taught myself the hard way, downloading programs, testing out different formats, reading blogs and finally producing my first ebook: The Travel Hacking Guide to Norway. After publishing it electronically, I also took a look at my audience and decided it should be available in paperback as well. Looking back, I learned that published an eBook is different than writing a report or a paper manuscript. The form provides new opportunities and challenges that will dictate your writing style, writing platform and elements included in your manuscript. Reading on a screen is different. No matter how much the screen looks like paper or ink, it is more of a strain on the eyes than paper, and while ereaders can adjust the size of the font, they can’t adjust the spacing and paragraph breaks you create. Instead of long paragraph, break things up. On the ereaders, the text auto-formats, so page 138 is not always 138. Instead, the text will format based on the screen size, the size of the font the reader chooses and even in the case of the iPad, the direction they tip the screen. Formatting text to a page or putting a paragraph break at the end of a page does not work. Instead, leave space and breaks throughout the text so it is easier on the eyes and easier for the reader to remember where they left off if they bookmark the page and come back to the text later. 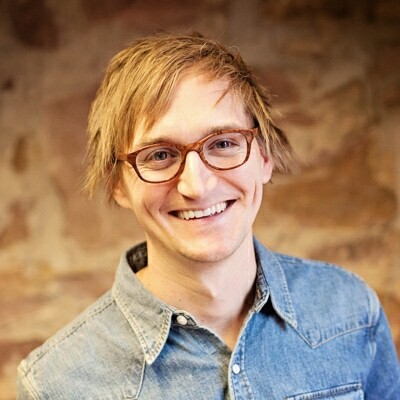 Online you only get a few seconds to convince readers they should do more than scan your page. On eBooks, the story is similar. Before purchasing, readers can preview the book on Amazon, seeing what’s inside. This usually entails flipping through the pages to see if it looks interesting. With headings and bullets, they quickly see what the content is about and are pushed towards downloading the eBook. Since most of the content is essentially free, again after downloading readers will scan through the Table of Contents and flip through a few virtual pages deciding if they want to continue reading. With space, headings and bullets the text becomes easier to read on an electronic device and enables them to get the main points of the text if they are skimming or flipping through. Plus, these headings and bullets tell the reader: share this! Ebooks enable readers to share favorite passages immediately via social networks. This incredible word of mouth marketing creates marketers out of every reader. Instead of the reader having to wait for a dinner party when they can tell their friends what book they should buy, they can tell everyone, immediately and repeatably. Setting readers up to find tweetable content will increase shares of your text. Key indicators like headings, bullets, colons followed by a short statement or bold and italics all help tell the reader: share this! Remember that a tweet is limited to 140 characters so pepper your content with bite-sized summaries that will clue others in to the content of your book. Unlike a website or blog post where you might link to other pages online, you want your eBook to connect with itself. However, it’s difficult for a reader on an eReader to page ahead if they are interested in learning more about a topic you will be discussing. Do this work for them. You can link to other parts of your eBook. Then when the reader is scanning through and wants to jump ahead, they can click the link and are immediately where they want to be. You can similarly link to websites or sources, but that will take the reader away from your book, so I like to keep those until the endnotes. Although you have the ability to link, use it sparingly. Unlike a blog that may be full of links, eBook readers will get distracted by excessive links and will be tempted to click around as if they were on the web instead of reading as if they were holding a paper book. The text will be underlined, signifying a link, so create a draft and have a friend read through a page and see if they are distracted or clicking more than they are reading. Table of Contents and Footer – On Scrivener you can create and customize the table of contents that will appear first in your eBook and make it clickable so every chapter heading links to the corresponding chapter. Additionally, you can choose how you want your footers to function, if they should be links and easily create and edit the footers and citations from within the document. Link text – Creating links within your text to other parts of the book is as easy as highlighting and choosing the chapter or sub section you want to link to. Scrivener takes care of the rest. Organizing ideas – On Scrivener you can work based on ideas or chapters instead of having to cut and paste text when you want to move it. This makes it easy to write an idea and later figure out how it fits in to the overall book. 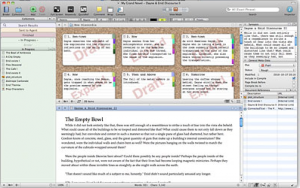 Much like moving sticky notes around, the corkboard on Scrivener is great to get you writing something and not worrying as much about writing the next chapter. Preview – When you’re finished with a draft of your eBook, you can export it as a preview and look at it on a wide variety of devices. This allows you to edit formatting and see the results without having to upload it to Amazon and wait to see what happens. Direct export to ePub or Kindle – After previewing you can export directly to epub or Kindle format. epub is used by the Nook and iPad while Kindle format is obviously for Kindle. If you want to upload your book to both Amazon and Apple, you can export it twice in different formats. Simple! Concentration mode – Do you get distracted by email or other programs when you should be writing? Concentration mode is for you. It makes your writing screen fill your entire computer and hides all the alerts and distractions to help you write efficiently. Need more help writing? I saved the biggest help for last. 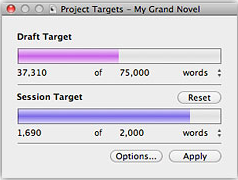 Progress bar – The progress bar is my favorite feature on Scrivener. You can set a daily word goal and a project goal, and it will track your work. When I wrote The Travel Hacking Guide to Norway, I wanted to write at least 1000 words a day for 60 days. I knew that some days I would end up writing well over 1000, but knowing I had to stick the goal helped me quickly write a book. Plus, it’s fun to challenge yourself to move the bar and look how close you are to finishing! With the realization that we are living in a Kindle world, it is helpful to write with your format in mind. If you are creating an ebook, write in a way that will engage ebook readers and enable them to share your work. It is easier than ever to distribute and market your ebook, but you have to do the work. Get yourself in concentration mode, set a goal and know what you want to say. Soon you’ll be ready to publish!